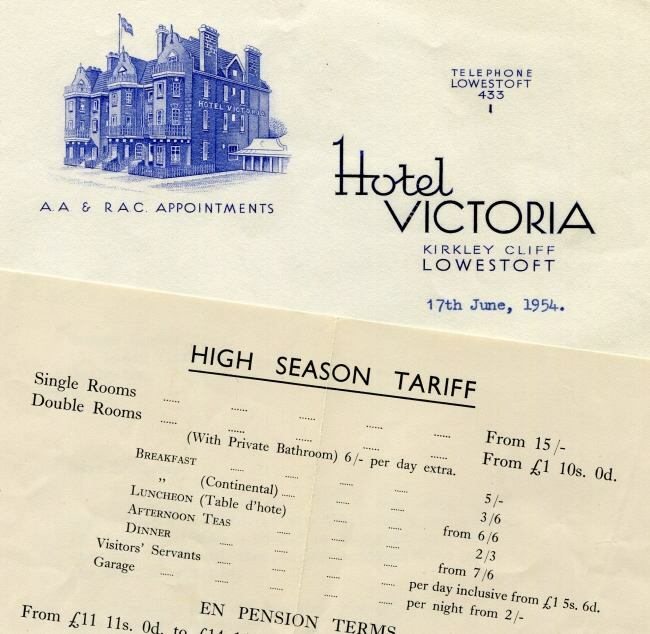 A brochure, covering letter and a copy of the tariff of Lowestoft's Hotel Victoria from 1954 make fascinating reading and you will find that even your servants can be catered for. 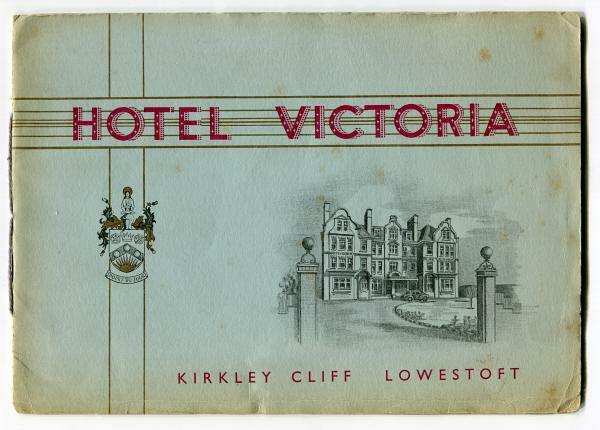 All bedrooms have hot and cold running water and gas or electric fires, and the dining room and lounge overlook the sea and harbour where boats can be seen passing in and out all day. There is a ballroom with a maple sprung floor where dances are held every week during the season. Your car can be washed and polished by arrangement. 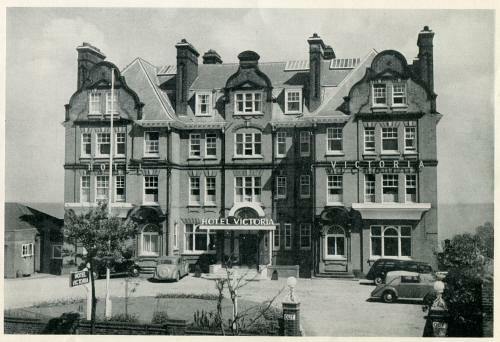 There is a large car park in the Hotel grounds and limited accommodation in the adjacent garage and the hotel even has its own electric petrol pump. The bathing beach is immediately in front of the Hotel and there is also a raft with diving boards provided by the Corporation. If you prefer a swimming pool to sea bathing then you will find one of the most modern in the country some three minutes by car from the Hotel in Oulton Broad. Times, and driving conditions, have changed!